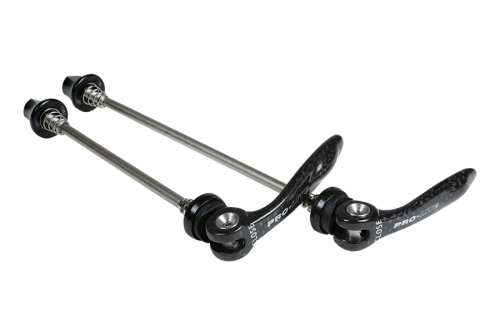 Titanium skewers with alloy and carbon levers. Suitable for all wheels, the Ultimate add on. Weight: 38g (front) and 43g (rear).